With my family settled in Springfield, MO, and my brother Rick and his family in Normal, IL, St. Louis has long been our stomping ground for annual get-togethers. Over the past several years, our meet-in-the-middle visits have taken us to see the Cardinals play in the new Busch Stadium, the top of the Gateway Arch, a Mississippi River excursion aboard the Delta Queen, and more than one safari through the world-famous Saint Louis Zoo. 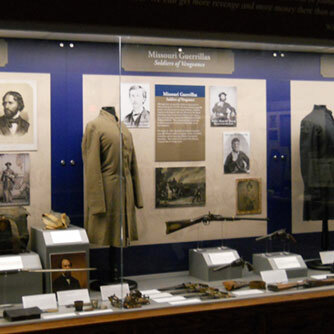 This time, though, we were on a mission to continue exploring museums of the enduring city that’s been at the heart of America’s adventurous spirit for more than 200 years. Rick; his wife, Trish; and their son, Brian, were waiting when my wife, Sara, our two teenagers, and I arrived mid-morning at the Saint Louis Art Museum. 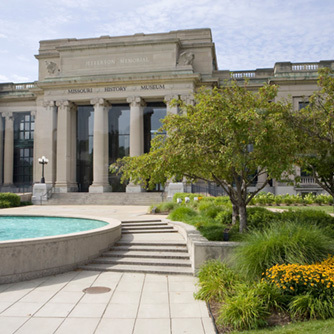 Located in historic Forest Park, the Art Museum is housed in a magnificent Beaux Arts building that served as the Palace of Fine Arts during the 1904 World’s Fair. 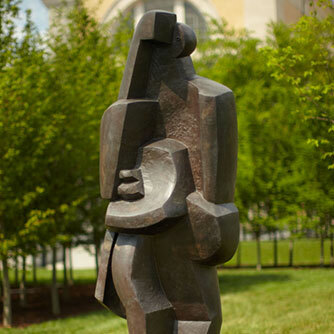 As one of the nation’s principal art museums, its works include paintings, sculptures, rare antiquities, and cultural artifacts from every corner of the world. It’s no wonder that it’s a much-beloved St. Louis staple. Emerging from the museum, we spread blankets in the shade and settled down for a picnic lunch. From our hilltop vantage point, a long, grassy slope descended to the Grand Basin, a large architectural pool that was a centerpiece of the 1904 World’s Fair. It was that greatest of expositions—and hosting the 1904 Summer Olympics—that made Forest Park a household name from Tokyo to Turin, forever establishing St. Louis as one of America’s great cities. The park’s 1,400 acres include meadows, forested trails, a 75-foot waterfall and thriving native flora, along with manmade lakes, freshwater streams, and protected natural habitats for a healthy variety of birds and wildlife. It’s no wonder that it’s a much-beloved St. Louis staple. 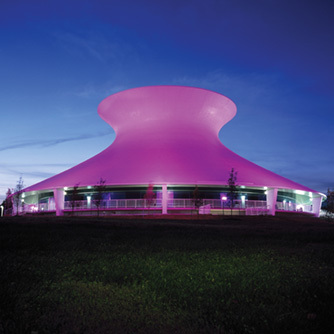 The Forest Park Trolley took us to our next destination: the Saint Louis Science Center, home of the James S. McDonnell Planetarium and eagerly anticipated by our son, Dave, and his cousin, Brian. Fourteen-year-olds born just six months apart and both avid Boy Scouts, they were locked in an ongoing competition to see who could accumulate the most merit badges in pursuit of advancing their ranks. “Uncle Mike, did you know the Saint Louis Science Center is ranked as one of the top five science centers in the United States by the Association of Science and Technology Centers?” Brian asked, reading from a pamphlet. “Yeah, Dad, think of all the cool stuff we could learn,” Dave chimed in with a winning grin. The boys were lobbying to attend one of the Science Center’s Scout Camp-Ins. The planetarium’s circular lobby was buzzing with families enjoying myriad interactive exhibits. After taking turns with a hands-on remote controlled Mars rover and experiencing a high-tech flight simulator, we were carried by a glass-enclosed sky bridge over eight busy lanes of I-64 traffic to reach the Science Center’s main building. 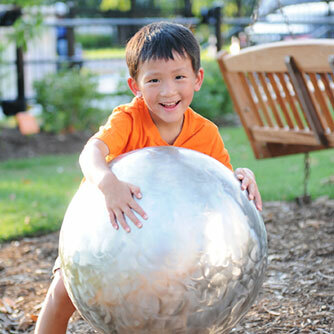 There, a mind-boggling kinetic sculpture called the Energizer Ball Machine rises to a three-story height. We explored the Omnimax® Theater’s impressive projection apparatus, a Life Science Lab, and various do-it-yourself engineering demonstrations before retracing our steps back to the planetarium to catch the next show. Another scenic ride on the old-fashioned trolley delivered us to the Missouri History Museum in the Jefferson Memorial Building. We took in a permanent exhibit detailing the gargantuan effort it took to prepare Forest Park for the World’s Fair. Another exhibit, #1 in Civil Rights: The African American Freedom Struggle in St. Louis, was an eye opener. I was unaware of the vital role St. Louis played in originating the civil rights movement, or that many of the most effective early freedom crusaders were African-American women. We stayed the night in historic Saint Louis Union Station, where a large mural behind the hotel check-in counter depicts the meeting of a riverboat and steam engine to tell an eloquent story. A massive building that once serviced the needs of 22 railroads and 100,000 passengers per day, Union Station was reborn as a downtown cultural anchor and entertainment venue in addition to featuring a AAA-approved hotel. During supper at the Station Grill, we reminisced about the great times we’d had a couple of years earlier at The Magic House and City Museum, both oriented toward encouraging kids of all ages to think creatively and have fun doing it. “More merit badges!” Brian chortled, raising a triumphant fist. After resting up overnight, we toured the Museum of Transportation, which has more than 70 locomotives on permanent display, offering what the Smithsonian describes as one of the largest and best collections of transportation vehicles in the world. Buses, streetcars, horse-drawn vehicles, vintage aircraft, automobiles, even a Panama Canal rail tug, are spread over 42 acres accessed by foot or the museum’s vintage streetcar line. Bobby Darin’s Dream Car is a popular highlight of the collection, a one-off 1960 creation you have to see to believe. “St. Louis has such awesome museums,” opined Laura. “Yes, it does, honey,” Sara agreed. “It’s because of all that wonderful history.” So true. The Gateway City was literally the crossroads of the world during the wild years of westward expansion, and you can still feel that spirit of opportunity and adventure when you’re there. 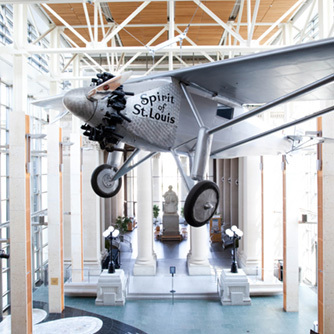 Build your dream trip to St. Louis with these inspiring itineraries.